Intuition is a basic and fundamental ability that everyone has. The trick is to recognize when and how you receive intuitive guidance, to trust the messages you receive, and to TAKE ACTION! Tuning into your personal intuition can be instrumental in the decision making process; it can help you to make choices that lead to a happier and healthier life. This two day class will introduce you to the 4 clairs - clairvoyance, claircognizance, clairsentience and clairaudience - what they are, how to recognize messages, how to trust what you receive, and more! Taught in an open, supportive and fun environment, you will have the opportunity to ask questions – how can I protect myself? How do I ground? What is real and what is not? How do I amplify what I'm getting? And more! We'll also explore using Angel Cards to do readings for ourselves and others. We'll talk about choosing a card deck, clearing the cards, preparing to give a reading, connecting with our angels and more. I'll have several angel card decks to choose from; if you have a deck you like to use, please bring it along. Though this is not a Tarot course (we won't be talking about the tarot deck, structure, etc.) you could certainly bring a tarot deck along. Course fee includes a manual for later reference, and a meditation CD. This is the final level in the Usui Reiki training. Students who successfully complete this class will be certified to teach and attune others to their Usui Reiki Levels. In this level, we will review the previous 3 levels, learn and practice the teacher level attunement process, look at a variety of exercises to support a person's reiki journey, talk about setting up your own reiki classes and more. The Usui Reiki Teacher's Training class is taught over the course of a weekend, and includes a teaching practicum during one of my other Usui Reiki classes (Level I, II or III). Also included in the course, is a comprehensive Reiki manual, Teacher Level Attunement and Certificate of Completion. At the end of the program, students will have the knowledge and experience required to teach the Usui Reiki System of Healing. Successful completion of Usui Reiki Levels I, II and III are required to take this class. Students of other Reiki Masters are welcome to participate, please contact Erin at Erin@HeavenLeeMessenger.com to discuss. Course fee is $450 and includes the weekend practicum following the initial Teacher Level Class. This one day class will introduce you to the 4 clairs - clairvoyance, claircognizance, clairsentience and clairaudience - what they are, how to recognize messages, how to trust what you receive, and more! Taught in an open, supportive and fun environment, you will have the opportunity to ask questions – how can I protect myself? How do I ground? What is real and what is not? How do I amplify what I'm getting? And more! You'll also have the stretch your intuitive muscles with readings for self and others. We'll also explore using different tools to connect with intuition - they may or may not include pendulums, dowsing rods, angel cards and more. This portion of the class will be decided the day of. So if there is a card deck or other intuitive tool that you have that you'd like to use, feel free to bring it along! Don't worry if you don't have anything, all supplies will be provided for your use during the class. Reiki is a powerful self-healing tool that can be used for self and others to balance our physical, mental, emotional and spiritual selves to bring about peace and balance in a chaotic world. Learning to to give back is part of that process. In the level I class, students will work on self-care and personal empowerment. The beginning of your Reiki journey is learning to treat yourself. Taught in four hour sessions over the course of a weekend, in order to give time for personal, reflective thought and assimilation of learning and practice, you will learn to channel Reiki energy for yourself, as well as a variety of techniques for increasing your energy flow. Bring your questions for discussion. By the end of the course, you will have both received and given a Reiki treatment. The level 1 class includes an attunement (an initiation process from master to student), an information booklet for reference later, and a certificate of completion. Further Reiki class offerings from Erin Lee include levels II and III (Master level) and IV (Teacher level). She also teaches Karuna Reiki classes (Available on request), however Usui master and teacher levels are prerequisite. 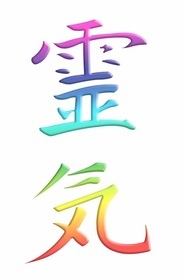 The June 20 & 21 Usui Reiki Level I class is now full. Join Reiki Master/Teacher, Psychic and Angel Reader Erin Lee, for an afternoon of energy, manifestation and play! In this interactive class, you'll learn how to recognize and dissolve energetic blocks for yourself and others. We'll play within the pool of universal energy to promote synchronistic flow, providing optimal conditions for manifestation. Whether you've been feeling stuck and want to move forward, or want to learn more about energy and manifestation, this is the class for you! Erin facilitates in a way that is fun, playful, interactive and informative, while providing an environment that is safe and comfortable for learning and growing. A hand out is included so you can practice at home. This class is suitable for all levels.